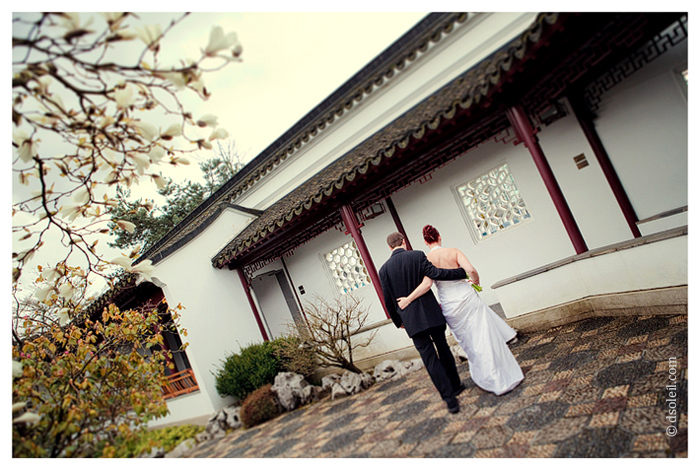 Dr. Sun Yat Sen Classical Chinese Garden is both a major tourist destination in Vancouver and a wedding venue that is popular with couples looking for an a unique location for their wedding ceremony. With it’s fully- and semi-covered pathways and courtyards, it’s a good destination for the unpredictable weather in Vancouver. The garden is quite large and is split into sections. For your wedding, you’ll get to choose between the Hall of One Hundred Rivers and Courtyard (if you’re having and indoor ceremony up to 160 guests), the Scholar’s Study & Courtyard (outdoor up to 60 guests), or the smaller Magnolia Courtyard (for up to 20 guests). Whatever your choice, you’ll usually get access to the open areas in the garden for taking photos after the ceremony. There are a number of good indoor and outdoor spots for photos with your friends and family, as well as your wedding party. Another good idea is to take a stroll outside the garden to take advantage of the many photo opportunities in and around Vancouver’s Chinatown. 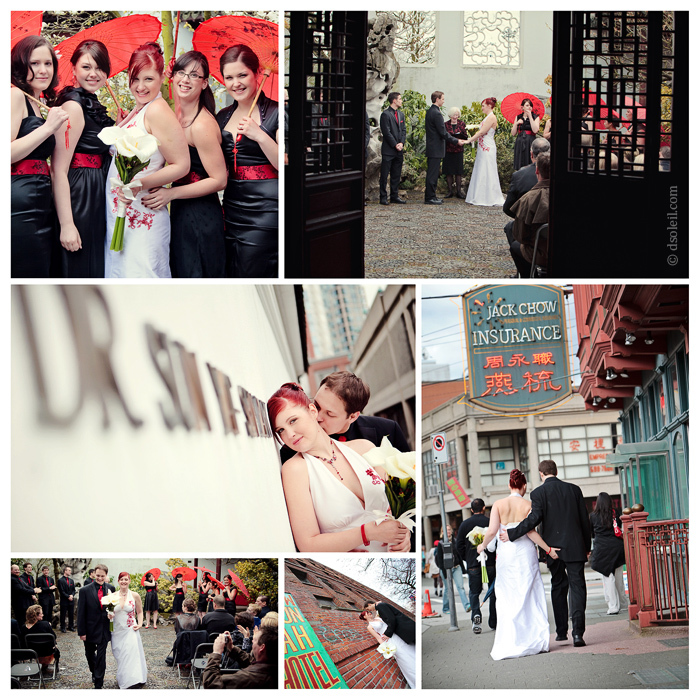 There are a whole slew of shops on Pender Street and you’ll find a large gateway to Chinatown there as well. At the last wedding I photographed, we were able to photograph inside one of the Chinese retail shops and got some really cool photos with hanging laterns. 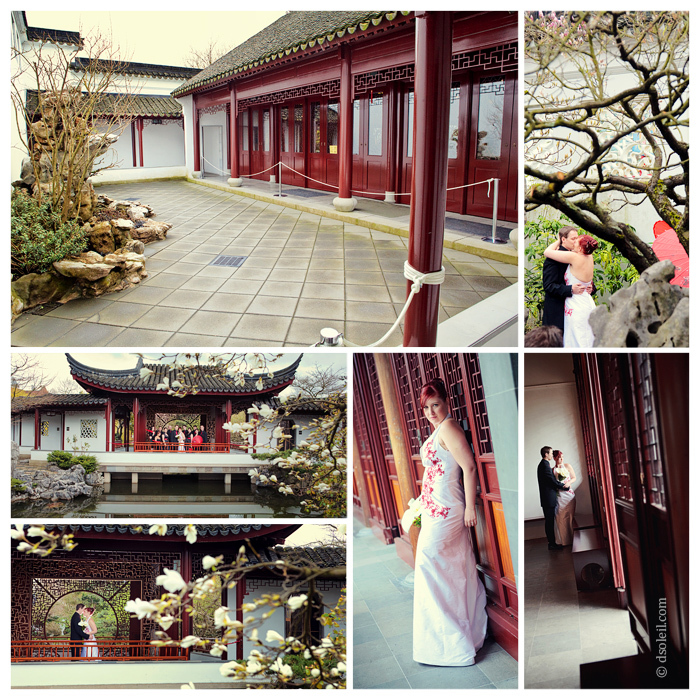 Dr. Sun Yat Sen Garden is an awesome venue if you’re looking for something a little out of the ordinary. However, if I could have a small wish, I’d want to see a better bridal suite on site (they usually hide the bride in one of the larger stock rooms behind the retail shop), but if you’re a bride who is getting ready elsewhere, this shouldn’t bother you too much. Want to see more? Email us for more photos and information about our photography services for your wedding day!